I came across a lovely, big pumpkin the other day in all its autumn glory. It was a Rouge Vif d’Etamps. 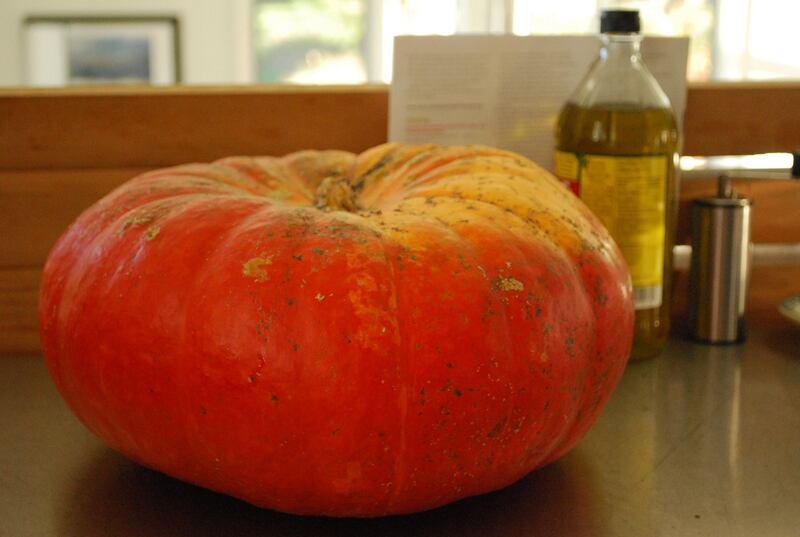 I just love the name but beyond it’s moniker – also called a Cinderella Pumpkin – it’s a unique French heirloom pumpkin. They say that it is the variety cultivated by the Pilgrims and served at the second Thanksgiving dinner. How apropos. They are beautiful, and tasty, a fact to which this soup can attest. Heat oil in a large saucepan over medium heat. Add onion, cook 5 minutes, or until softened. Add garlic and saute for another minute or two. Add cumin, coriander, turmeric, sweet paprika, cayenne pepper and saute for another minute or two. Add pumpkin and sliced fennel. Pour in veggie broth and 1 cup cider. Add bay leaf. Bring to a boil; cover and simmer for 25 minutes, or until pumpkin is tender. Remove and discard bay leaf. Puree in batches; return to saucepan. Add salt and pepper to taste. 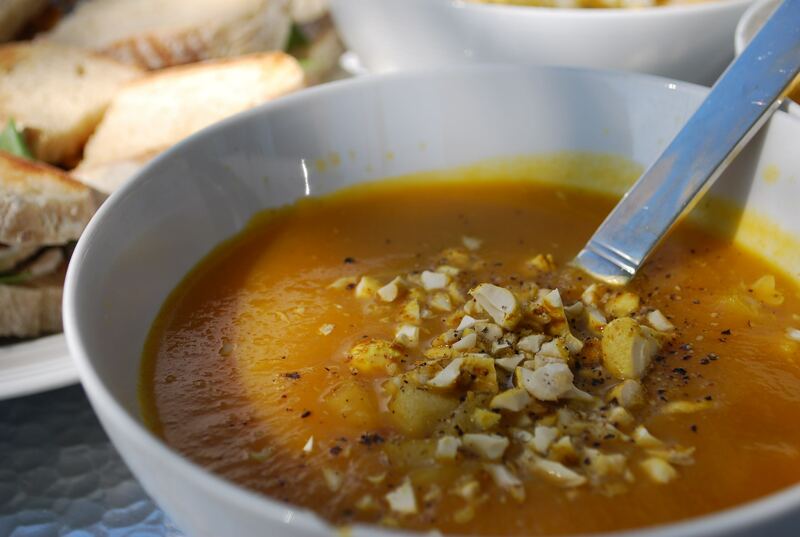 If soup is too thick, thin it with remaining 1 cup of cider as needed. Meanwhile, peel, core, and cube apple. Sprinkle with sugar. Heat a frying pan on the stove on medium high. Saute apples until carmelized and nicely brown. Ladle soup into bowls. And top with carmezlied apples, seeds and/or nuts (I used curried cashews).